In this post, we’re covering how the system allows you to traffic ad inventory to multiple demand sources and makes them compete for higher revenue, all the while delivering as intended on your direct-sold (reserved) deals. It begins with line items. You get a purchase request from ‘Martha’s Marmalade’. Awesome. But that’s not enough information. You need specifics to actually deliver on it, like which inventory they want, in what quantity, and so on. In Ad Manager, orders are the equivalent of ‘purchase requests’ made by a buyer/advertiser. The line item contains the specifics of that order. Where the creative will display (ad units targeted). How many times will it appear (number or percentage of impressions/clicks). Who will see it (targeting criteria), and so on. Each order needs at least one line item to deliver. More line items can be added to an existing order at a later time. Give it a descriptive name so you know what the line item is about – like ‘Mobile Leaderboard_320x50’. This name must be unique within an order. Pick Inventory (ad units) that are targeted to this line item. For display web, pick Standard, and select the display ad unit sizes you want to target. Remember that you can target multiple ad unit sizes to one line item. When no ad units are selected, the line item targets all available inventory. Rest of the fields are optional. Leave those be for now. In Settings, the first thing you see is line item type, and we have to see what those are before we can fiddle around with rest of the Settings and Adjust Delivery configurations. Ad Manager has line items ‘types’ and ‘priorities’. These make sure that you actually deliver on your commitments made directly to a (media) buyer. 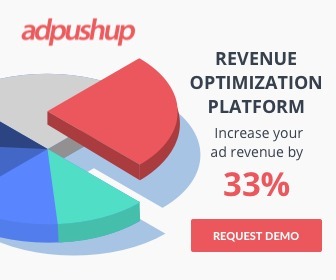 They also create an efficient system that lets you offload your remaining impressions to designated ad networks/SSPs (aka, waterfall) to optimize ad revenue. When a user arrives on a webpage, their browser sends requests for content (including ads). The ad requests go to your ad server (Ad Manager), containing details like ad location, size, page URL, contextual category, and the user’s own behavioral & demographic data (if allowed) like browsing history, time zone, location etc. Ad Manager reads this info and goes through all the line items to see if any of them have targeting criteria that matches with this ad request. The ones that ding positive are eligible line items. And when there are multiple eligible line items, Ad Manager decides which one gets the impression based on priority. (Unless Dynamic Allocation is enabled, is when eligible Standard and remnant line items compete based on rate. If the highest rate is beaten by a bid from Ad Exchange, it wins the impression). Here’s what each line item type does. You’re contractually obliged to deliver on these, and the system makes sure that you do. There are two of these. In Ad Manager, high priority, percentage-based goals go to sponsorship line item type. Set it up for the buyer, targeted to the ad unit, to be delivered to that unit for a percentage of all impressions, for the campaign duration. There can be additional targeting criteria, depending on buyer request. Out of all the impression requests for that ad unit received during the campaign run time, a specified percentage would go to the buyer. Sold on the basis of impressions (CPM), day (CPD), or clicks (CPC). Can use all available targeting criteria. Only the impressions that match all the targeting are counted in delivery. Typically used for direct-sold roadblock deals. You can book multiple Sponsorships for the same or overlapping ad unit and targeting criteria, but that would affect deliveries of every single one of them. Then the delivery will be calculated by each line Item’s % goal divided by total % goal of all sponsorships you have. So if Jerry’s Jams came along to buy 50% of impressions on ‘Food’ section during October, you can book it, but you’ll actually deliver 58% (70/120) to Martha’s and 42% (50/120) to Jerry’s. Sally’s Shortcakes wants to purchase a total of 200k leaderboard impressions in March. High-priority, quantity-based (fixed number of impressions) goals go to Standard line items. Set it up for a buyer (Sally’s), targeted to the ad unit (leaderboards), for number of either impressions or clicks (200k) during the campaign run time (March). Used for directly sold campaigns. Has three priority types – High (6), Normal (8), and Low (10). On priority alone, Standard-High serves before Standard-Normal or Low. Unlike sponsorships, standard line items can compete against remnant line items based on price. They have a delivery pace. As long as Ad Manager thinks that their goal can still be met in the specified run-time (if the line item is delivering on or ahead of schedule), it can be beaten by remnant or AdX line items based on price. Anyway, you’ve made all the sales. But there are still more impressions to sell, which is where remnant line items come into the picture. Ways to offload (sell) your remaining impressions. These line items are used to set up a traditional waterfall within the publisher ad server. When Dynamic Allocation is enabled, remnant line items compete against each other on the basis of value CPM. This is a static CPM value that you give to these line items. The remnant line item with the highest value CPM wins. This value acts as a price floor for the bids from Ad Exchange. If AdX has a bid higher than value CPM of the winning line item, then AdX wins the impression. If not, the remnant line item (with the highest value CPM) gets the impression. Keep in mind that this value is only for competition within your ad server. If the line item wins based on value CPM, that’s not the amount you earn. The winning bid returned from the demand source in that line item can be significantly higher or lower than the value CPM you’ve set for them. This is why you should always optimize line items’ value CPM based on that demand source’s performance. Note: This system put ad networks/SSPs in remnant line items at a disadvantage against AdX. Hence, Header Bidding. You strike a deal with two vendors, who each agree to buy 90% of all impressions that you’ve got to sell. The vendors are ad networks. For percentage-based, non-guaranteed goals, use Network line items. A specified percentage of impressions that remain after Sponsorship and/or Standard line items have delivered will go to Network line items. Network line items have a variable called weight, which you can define to adjust how often you want that line item to compete against others in dynamic allocation. For instance, a network line item with 100% weight will always compete, while a network line item with 50% weight will compete about half the time. A buyer approaches you to buy a total of 150k impressions for $600. There’s no timeline. You can deliver them at your leisure. The point of a bulk line item type is to deliver (remnant) impressions to a client who wants to advertise on your site and is willing to pay X for Y amount of impressions, but doesn’t care about the timeline in which they are to be delivered. Marketers sometimes buy remnant impressions to deplete the last of their advertising budgets, which gets them the eyeballs without the high costs of direct-sold deals. Bulk line items are used for lower priority direct deals. Their pacing determines how often they compete against other remnant line items in dynamic allocation. For example, if bulk line item is behind schedule, it has a higher probability to compete against other remnant line items. Price Priority is like a “catch all” for your unreserved inventory, for all ad networks/ SSPs/ demand sources. Eligible price priority line items compete on the basis of rate. Set them up without a lifetime ‘cap’ so you can traffic unlimited demand from these sources, and have them compete based on the price they’re willing to pay for every impression. They’re sold on CPM and CPC basis. These line items compete when AdSense or Ad Exchange accounts are linked to the ad server (DFP/Ad Manager). Create an Ad Exchange line item with Run-of-Network (RON) targeting to make sure it competes on all impressions and optimizes yield (without risking under delivery of direct-sold line items). That’s pretty much it for revenue-generating line item types. There’s a House line item (priority 16), which you can run to promote your own products/services. Deliver Impressions: You can set the pace of a line item as Evenly (serves equal number/volume daily throughout the campaign runtime), Frontloaded (serve more impressions at the beginning of the campaign), or As fast as possible, which will block all lower priority or lower value line items from serving in the placements targeted by this line item until it reaches its goal. Display Creatives: Lets you configure how many creatives associated with a line item will be displayed in the ad units on a page as Only One, One or More (shows multiple creatives per page for the same line item (if available)), or As Many as Possible (shows as many associated creatives for a single line item on a page as possible). Rotate Creatives: How many creatives will appear in a single unit, and for how long. By default, creatives with the highest CTR are shown more often. Can also be set to rotate Evenly, at a specified frequency (Weighted), or in a specified sequence (Sequentially). Day and Time: aka Dayparting; lets you run line items on specified days or hours. Run an hourly report to see when you receive traffic that matches high value line items’ targeting criteria. Frequency: Lets you specify the number of times a user sees creative(s) from a line item. You can choose a maximum number of impressions per user and then set how often the cap will be reached by a line item. For instance, Set a Per User Frequency Cap so one user sees 5 impressions every 2 days from one line item. Multiple frequency caps can be stacked so the same line item doesn’t deliver creatives too often to the same user. Limit EEA Serving: There may be some line items that contain personalized targeting or whose creatives have vendor callouts that require user consent under Google’s updated EU User Consent Policy. In that case, you can choose which line items you want to serve to EEA users in personalized or non-personalized mode, and then work to obtain the necessary user consent. Then there are targeting criteria – which let you specify where the ad will appear (inventory) and who will see it based on key-value pairs, geography, device, browser language, and more. That’s all for line items. There are more settings in the Ad Manager stack to give you control over your ad inventory. We’ll cover those in further posts. Keep reading and optimizing.